See https://github.com/spacetelescope/webbpsf/issues for currently open issues and enhancement suggestions. Calculations at large radii (> 500 lambda/D ~ 30 arcsec for 2 microns) will show numerical artifacts from Fourier aliasing and the implicit repetition of the pupil entrance aperture in the discrete Fourier transform. If you need accurate PSF information at such large radii, please contact Marshall Perrin or Marcio Melendez for higher resolution pupil data. Most detector effects, such as intrapixel sensitivity variations or interpixel capacitance. There are currently no plans to include these WebbPSF itself. Generate a subsampled PSF and use a separate detector model code instead. The one exception is a scattering artifact in the MIRI imager detector substrate. Continued validation and updates as needed based on further analyses of instrument and telescope hardware test data. Support for the NIRSpec and MIRI IFUs may be added in a future release; level of detail is still TBD. Improved models for telescope WFE evolution over time. Possibly: separate handling of pre- and post- coronagraphic WFE in instruments, or pre- and post- NIRSpec MSA plane WFE; pending receipt of test data and models from the instrument teams. This release focused on software engineering improvements, rather than changes in any of the optical models or reference data. (In particular, there are NO changes in the reference data files; the contents of the WebbPSF version 0.8 data zip file are identical to the reference data as distributed for version 0.7. This version of WebbPSF will work with either of those interchangably.). This version drops support for Python 2.7. The minimum supported version of Python is now 3.5. Software development repo on Github shifted to within the spacetelescope organization. Note, when upgrading to this version you will need to update to the latest data files as well. This is handled automatically if you use conda, otherwise you will need to download and install the data from: webbpsf-data-0.7.0.tar.gz. Python version support: Future releases will require Python 3. Please note, this is the final release of WebbPSF to support Python 2.7. All future releases will require Python 3.5+. See here for more information on migrating to Python 3. Deprecated function names will go away in next release. This is also the final release of WebbPSF to support the older, deprecated function names with mixed case that are not compatible with the Python PEP8 style guide (e.g. calcPSF instead of calc_psf, etc). Future versions will require the use of the newer syntax. Improved numerical performance in calculations using new accelerated math functions in poppy. It is highly recommended that users install the numexpr package, which enables significant speed boosts in typical propagations. numexpr is easily installable via Anaconda. Some use cases, particularly for coronagraphy or slit spectroscopy, can also benefit from GPU acceleration. See the latest poppy release notes for more. NIRCam coronagraphy: Fix a sign error in offsets for the NIRCam coronagraph SWB occulters [#172, @mperrin]. The utils.system_diagnostic function now checks and reports on a few more things that might be useful in diagnosing performance issues. Substantial update to the optical models for the telescope, to incorporate measurements of the as-built optics plus the latest expectations for alignments in flight. The reference data layout has changed: each instrument now includes only two OPD files, a predicted and a requirements OPD. Ex: OPD_RevW_ote_for_NIRCam_predicted.fits.gz. The OPD files are now derived from measured flight mirror surfaces (for high spatial frequencies), plus statistical models for their alignment in flight following wavefront sensing and control (for mid and lower spatial frequencies), as described in JWST Instrument Model Details. Each OPD file still contains 10 different realizations of the statistical part. Aperture definitions now come from a copy of the SIAF bundled in jwxml rather than in the WebbPSF reference data. An alpha version of a linear optical model for adjusting OPDs is now provided for power-users, but currently unsupported and not documented. The Astropy Helpers have been updated to v2.0.1 to fix various install-time issues. Released 2016 November 2. Bug fix release to solve some issues that manifested for AstroConda users. Released 2016 June 10. Various updates to instrument properties, improved documentation, and overhaul of internals in preparation for measured WFE data on JWST SIs. Updated all JWST SI pixel scales to latest measured values from ISIM CV3 and STScI Science Instruments Aperture File. Add coordinate inversion to get the correct (inverted) orientation of the OTE exit pupil relative to the ISIM focal plane. This will show up as an extra intermediate optical plane in all PSF calculations from this point, with the OTE pupil obscuration flipped upside down in orientation relative to the entrance pupil. As a consequence of this, many optical planes displayed will now look “upside down” relative to prior versions of WebbPSF. This affects all coronagraphic Lyot masks for instance, the NIRISS CLEARP and NRM pupils, etc. This is as intended, and reflects the actual orientation of those optics in the internal pupil planes relative to a detector image that has been oriented to have +V3 up and +V2 left (e.g. ‘SCI’ frame orientation on the sky, with north up and east left if the position angle is zero). Added software infrastructure for using measured instrument WFE from ISIM cryo-tests - however the data files are not yet ready and approved. This functionality will be fully activated in a near-future release (later this summer). Added attributes for detector selection and pixel positions to all SIs, backed with latest science instrument aperture file mapping between detector pixels and angular positions on the JWST focal plane. Improved automatic toggling based on selected filter of instrument properties such as NIRCam short/long channel and pixel scales, and NIRISS and MIRI pupil masks. Thanks to Kyle van Gorkom, Anand Sivaramakrishnan, John Stansberry, Colin Cox, Randal Telfer, and George Hartig for assisting with information and data to support these updates. Updated to GSFC Cycle 6 modeling results for WFI. Some behind-the-scenes refactoring to implementation details for field dependent WFE to support code sharing between the JWST and WFIRST classes. Thanks to Alden Jurling for assisting with information and clarifications on the Cycle 6 models. New Python PEP8 style guide compliant names have been added for most function calls, e.g. calc_psf instead of calcPSF, display_psf instead of display_PSF and so forth. For now these are synonymous and both forms will work. The new styling is preferred and at some future point (but not soon!) the older syntax may be removed. Released 2016 April 04. Mostly minor bug fixes, plus some updates to better match orientations of output files. Also flip orientations of some NIRCam coronagraphic masks and improve modeling of NIRCam coronagraph ND squares and occulter bar mounting hardware (#85; @mperrin); and remove two obsolete filter data files that don’t correspond to any actual filters in NIRCam. Better document how to make monochromatic PSFs (#92; @mperrin) and fix broken link in docs (#96; @josephoenix). including all WFI filters and filter-dependent pupil masks. Bug fixes for minor issues involving OPD file units (#74, @josephoenix), cleaner logging output, and some Python 3 compatibility issues. When updating to version 0.4 you will need to also update your WebbPSF data files to the latest version as well. WebbPSF no longer attempts to display a welcome message on new installs; that idea proved to be less helpful than originally expected. This is a bug-fix release to address an issue that rendered the GUI unusable. (See #55.) API usage was unaffected. This is a major release of WebbPSF, with several additions to the optical models (particularly for slit and slitless spectroscopy), and extensive software improvements and under-the-hood infrastructure code updates. Many default settings can now be customized by a text configuration file in your home directory. In fact the NIRSpec class now automatically defaults to having the NIRSpec grating pupil stop as the selected pupil mask, since that’s always in the beam. For MIRI you must explicitly select the ‘LRS grating’ pupil mask, and may select the ‘LRS slit’ image stop. For NIRISS you must select the ‘GR700XD’ grating as the pupil mask, though of course there is no slit for this one. Please note This is new/experimental code and these models have not been validated in detail against instrument hardware performance yet. Use with appropriate caution, and we encourage users and members of the instrument teams to provide input on how this functionality can be further improved. Note also that MIRI MRS and NIRSpec IFU are still unsupported. Thanks to Loic Albert (U de Montreal) and Anand Sivaramakrishnan for data and many useful discussions on NIRISS SOSS. Thanks to Klaus Pontoppidan for proposing the NIRSpec and MIRI support and useful discussions. Thanks to Erin Elliott for researching the NIRSpec grating wheel pupil stop geometry, and Charles Lajoie for information on the MIRI LRS pupil stop. Added NIRISS CLEARP pupil mask; this includes the obscuration from the pupil alignment reference. Given the pupil wheel layout, this unavoidably must be in the beam for any NIRISS long-wave PSFs, and WebbPSF will automatically configure it in the necessary cases. Thanks to Anand Sivaramakrishnan. Minor bug fix to weak lens code for NIRCam, which previously had an incorrect scaling factor. Weak lens defocus values updated to the as-built rather than ideal values (which differ by 3%, but the as built values are very well calibrated). to simulate 3 waves of defocus at 2 microns, equivalently 6 microns phase delay peak-to-valley in the wavefront. Those two elements give the desired field size as (Y,X) following the usual Python axis order convention. This is motivated in particular by the rectangular subarrays used in some spectroscopic modes. astropy.io.fits replaces pyfits for FITS I/O. astropy.io.ascii replaces asciitable for ASCII table I/O. atpy is no longer required. New astropy.config configuration system is used for persistent settings. This includes saving accumulated FFTW ‘wisdom’ so that future FFT-based calculations will begin more rapidly. psutil strongly recommended for cross-platform detection of available free RAM to enable better parallelization. Improved packaging infrastructure. Thanks to Christine Slocum, Erik Bray, Mark Sienkiewicz, Michael Droetboom, and the developers of the Astropy affiliated package template.  Thanks in particular to Christine Slocum for integration into the STScI SSB software distribution. Improvements to parallelization code. Better documentation for parallelization. PyFFTW3 replaced with pyFFTW for optimized FFTs (yes, those are two entirely different packages). Alternate GUI using the wxpython widget toolkit in place of the older/less functional Tkinter tool kit. Thanks to Klaus Pontoppidan for useful advice in wxpython. This should offer better cross-platform support and improved long term extensibility. The existing Tkinter GUI remains in place as well. The calculation options dialog box now has an option to toggle between monochromatic and broadband calculations. In monochromatic mode, the “# of wavelengths” field is replaced by a “wavelength in microns” field. There is also an option to toggle the field of view size between units of arcseconds and pixels. Log messages giving details of calculations are now displayed in a window as part of the GUI as well. Improved configuration settings system. Many settings such as default oversampling, default field of view size, and output file format can now be set in a configuration file for persistence between sessions. So if you always want e.g. 8x oversampling, you can now make that the default. An example configuration file with default values will be created automatically the first time you run webbpsf now, including informative comments describing possible settings. This file will be in your astropy config directory, typically something like “~/.astropy/config”. New ‘Preferences’ dialog allows changing these persistent defaults through the GUI. New function webbpsf.setup_logging() adds some more user-friendliness to the underlying python logging system. This includes persistent log settings between sessions. See updated documentation in the webbpsf page. The first time it is invoked on a computer, WebbPSF will display a welcome message providing some information of use to new users. This includes checking whether the requisite data files have been installed properly, and alerting users to the location of the configuration file, among other things. Refactoring of instrument class and rebalancing where the lines between WebbPSF and POPPY had been blurry. Some bugfixes in the example code. Thanks to Diane Karakla, Anand Sivaramakrishnan, Schuyler Wolff. Various updates & enhancements to this documentation. More extensive documentation for POPPY now available as well. Doc theme derived from astropy. Coronagraph pupil shear shifts now use scipy.ndimage.shift instead of numpy.roll to avoid wrapping pixels around the edge of the array. poppy now installed as a separate package to more easily allow direct use. new Instrument class in poppy provides much of the functionality previously in JWInstrument, to make it easier to model generic non-JWST instruments using this code. Binset now specified when integrating across bandpasses in pysynphoteliminating a previous warning message for that calculation. Stellar spectra are now by default drawn from the PHOENIX models catalog rather than the Castelli & Kurucz 2004 models. This is because the PHOENIX models have better spectral sampling at mid-infrared wavelengths. TFI class (deprecated in version 0.2.6) now removed. Bug fix for installation problems in previous release 0.2.6 (thanks to Anand Sivaramakrishnan and Kevin Flaherty for bringing the problem to my attention). Updated FITS keywords for consistency with JWST Data Management System (DMS) based on DMS Software Design Review 1. “PUPIL” keyword now is used for pupil mechanisms instead of OTE pupil intensity filename; the filename is available in “PUPILINT” now, for consistency with the OPD filename in “PUPILOPD” now. Some minor instrument-specific FITS keywords added via new _instrument_fits_header() functions for each instrument object. For instance, NIRCam PSFs now have “MODULE” and “CHANNEL” keywords (eg. “MODULE = A”, “CHANNEL = Short”). Note that there is no optical difference between modules A and B in this version of webbpsf. Added support for weak lenses in NIRCam. Note that the +4 lens is in the filter wheel and is coated with a narrowband interference filter similar to but wider than F212N. WebbPSF currently does not model this, and will let you simulate weak lens observations with any filter you want. As always, it’s up to the user to determine whether a given webbpsf configuration corresponds to an actual physically realizable instrument mode. Updated & renamed TFI -> NIRISS. Removed coronagraphic Lyot pupils. Note: the coronagraphic occulting spots are machined into the pickoff mirror so will still fly, and thus are retained in the NIRISS model. Slitless spectroscopy not yet supported; check back in a future version. Fix to FITS header comments for NIRISS NRM mask file for correct provenance information. TFI class still exists for back compatibility but will no longer be maintained, and may be removed in a future version of webbpsf. Strehl measurement code caches computed perfect PSFs for improved speed when measuring many files. “display_psf” function renamed to “display_PSF” for consistency with all-uppercase use of PSF in all function names. OpticalElement objects created from FITS files use the filename as a default optic name instead of “unnamed optic”. FITSOpticalElement class created, to separate FITS file reading functionality from the base OpticalElement class. This class also adds a ‘pixelscale’ keyword to directly specify the pixel scale for such a file, if not present in the FITS header. Removed redundant ‘pupil_scale’ attribute: ‘pixelscale’ is now used for both image and pupil plane pixel scales. unit test code updates & improvements. Initial public release, June 1 2011. Questions, comments, criticism all welcome! Improved display of intermediate results during calculations. NIRCam pixel scale auto-switching will no longer override custom user pixelscales. Corrected NIRCam 430R occulter profile to exactly match flight design; other occulters still need to be tuned. Corrected all for use of amplitude rather than intensity profiles (thanks to John Krist for comparison models). Initial STScI internal release, spring 2011. Questions, comments, criticism all welcome! Reworked calling conventions for calcPSF() routine source parameters. Default OPDs are now the ones including SI WFE as well as OTE+ISIM. Improved fidelity for NIRCam coronagraphic occulter models including ND squares and substrate border. Support for coronagraphy with MIRI, NIRCam, and TFI. Further enhancements in fidelity to come later. Coronagraphic calculations are done using the direct FFT method, not Soummer’s semi-analytic method (though that may be implemented in the future?). Up-to-date science frame axes convention, including detector rotations for MIRI and NIRSpec. Tunable wavelengths and appropriate bandwidths for TFI. Partial support for modeling IFU PSFs through use of the ‘monochromatic’ parameter. Revision V OPD files for OTE and SIs. Produced by Ball Aerospace for Mission CDR, provided by Mark Clampin.